Drum liners are designed to line large industrial drums and keep them clean from wherever you’re storing. They are also good for storing waste to prevent hazardous leaks should those drums start to rust and for protecting valuable materials and equipment from the weather and elements. But industrial drum liners can also be extremely handy in camping and survival situations. Here are 10 unexpected uses for drum liners that you might not have thought of before. 1) Sleeping Bag: Drum liners are tough, insulating, and waterproof- making them ideal emergency sleeping bags when you’re out in the rough. 2) Rain Jacket: By making a head-sized hole in the bottom center of a drum liner, you get instant and complete protection from even the heaviest rain. 3) Igloo Window: Shelters made from blocks of ice can get pretty dark and gloomy inside. When you’re braving the cold- a little extra sunlight can make a big difference in the quality of your experience. Use a drum liner to keep out the wind and cold while still letting valuable light in. 4) Rain Catcher: Out in the rough it can be hard to find something to catch rain that’s water tight, clean and light. A drum liner is all of those things. 5) Food Storage: You can cut a drum liner into sections for small food containers, or you can dig a hole and take advantage of the extra protection to keep food clean and dry. 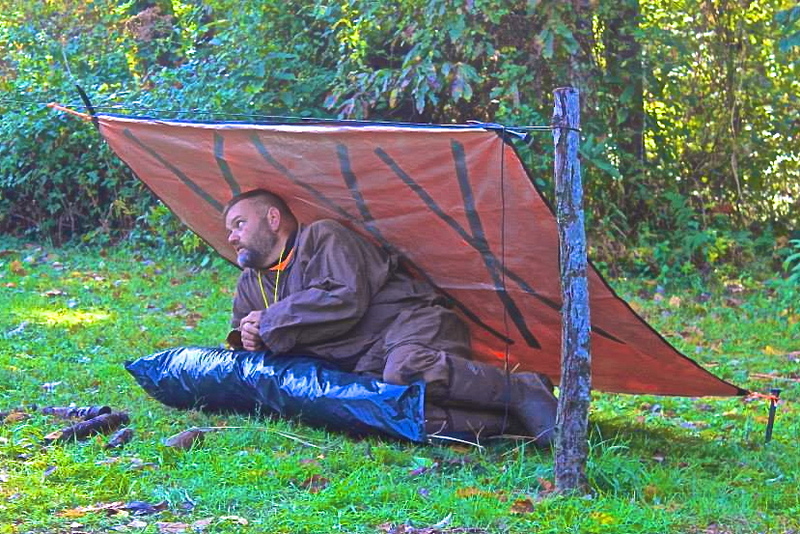 6) Shelter Door: Building a survival shelter can be a challenge- putting a door on one can be darned near impossible. A drum liner solves this problem the same way it makes a good igloo window. 7) Bug Harvester: If you’re in dire need of some fishing bait- or have the stomach to eat bugs for the extra protein- you can turn a drum liner into an excellent bug catcher with some bait and a little bit of time. 8) Boot liners: Wet socks and feet can be a serious hazard out in the woods. Wet socks can attract serious infections that can turn deadly. Use pieces of drum liner to line your boots and keep your feet dry. 9) Fish trap: With some string, a few sticks, bait, and a drum liner; you can make an ideal impromptu device for catching fish. This is a great idea when sitting on the shore and waiting for fish to bite is not an ideal strategy. 10) Temporary Backpack: Equipment fails under tough conditions, and having even the simplest backpack can make the difference between life and death when it comes to carrying vital gear. A drum liner is a ready-made bag that you can throw important items in and sling over your shoulder.